Ginger is a spice that is widely used in Indian cuisine. It is rich in B complex vitamins, iron, manganese and magnesium. Ginger has a spicy and pungent taste. It is used in native medicine for its anti-inflammatory, ant-infective, anti-emetic and anti-flatulent properties. In addition, ginger juice is a good appetizer. My grandmother used to recommend ginger extract mixed with honey for good digestion. Though ginger is used mainly as a flavoring agent, it can be used to make pickle, pachadi, chutney, mixed rice and thokku. You can add ginger to soups and juices! Coconut-ginger chutney makes a healthy alternative to your routine menu. Try this out. Method: Heat 1 teaspoon of oil in a kadai, add Bengal gram dhal and urad dhal, and fry till the dhals turn golden brown. Switch off the fire. Grind coconut, fried ingredients, green chilli, ginger and salt with required amount of water in to a fine paste. Heat oil in a tadka pan or spice pan (தாளிக்கிற கரண்டி), add mustard seeds and once they start to sputter, switch off the fire. Add the seasoning to the ground chutney. Garnish with curry leaves. 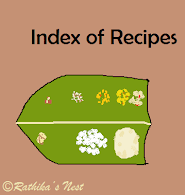 Serve with idly, dosa, adai, appam, kuzhi paniyaram or uppuma.